If you’re a PC gamer, chances are you already tried Paladins, the new free-to-play first-person team shooter by Hi-Rez Studios (the makers of SMITE, Global Agenda and Tribes: Ascend). According to the studio, the game was Steam’s most played new title of 2016 (based on average daily CCU) and surpassed eight million downloads. 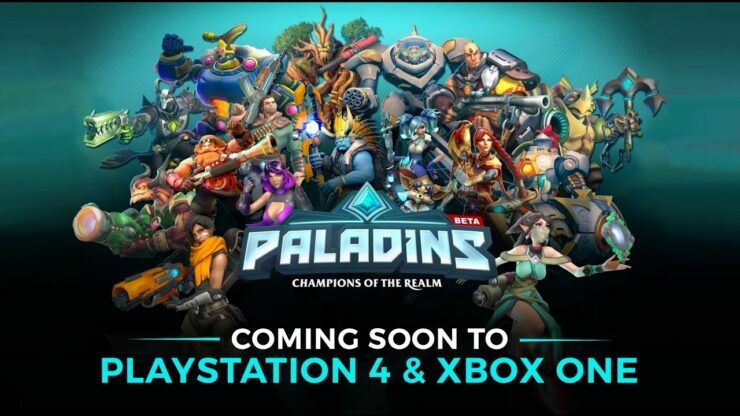 Bringing Paladins to consoles has been a major goal for us since day one of development. There are very few free-to-play shooters on consoles, and we’re pleased to introduce a team based FPS with deep customization and progression unlike any other game in the genre. The closed beta opened recently over there and we have 25K codes (10K for Xbox One, 10K American PS4 codes and 5K European PS4 codes) that will let you play the game immediately. You just need to complete the two actions below for your preferred platform and the system will give you a key, quickly and painlessly. To redeem your code, check the following instructions. content such as cosmetic items and card unlocks. That’s not all because Hi-Rez Studios also announced a special Paladins ‘Console Wars’ Tournament, to be held at Dreamhack Valencia, on July 13-15, 2017. The Console Wars will feature the top Xbox One and PlayStation 4 teams from Europe and North America, competing against each other for ultimate bragging rights and the champion’s share of a $50,000 prize pool. For players interested in testing their mettle against the best Paladins players in the world, details on the path to qualify for Dreamhack Valencia can be viewed here.